What a year it has been, it all seems to go by so fast and you can’t spot the changes. I’m sharing Our Memories 2013 through my favourite photos, each one is special and treasured. My Mum sent me this photo; whenever she takes Lucas out I get at least one picture from their day together. She had taken him for a walk at our local park and managed to get a snap of him giggling as someone was feeding the ducks and the pigeons were gathering around him. I love his face and I can just imagine his chuckle! These little snippets of his days out with Nanny always make me smile and it makes me so happy to see the fun they have together. Oh, this was such a cold day! We ended up walking for ages and it was so chilly but this picture was taken right at the start of the walk before the cold had set in. 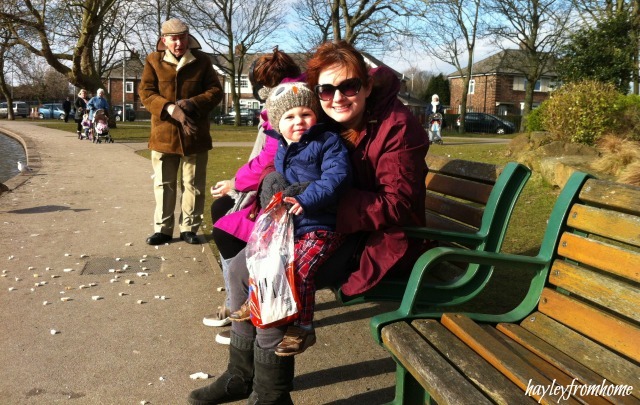 We had gone out for the day with Grandma, Grandad and Lucas’ cousin and this was actually the first time I had fed the ducks with Lucas. He hopped up on my knee to escape them and it is one of the rare photos of the two of us together. These little things are some of my most treasured memories over the year; something so simple yet so new and exciting to Lucas. When we moved into our new house we did nothing to the garden and we continued to do nothing for nearly nine months. When the spring arrived we made a start on it; this was my before shot! 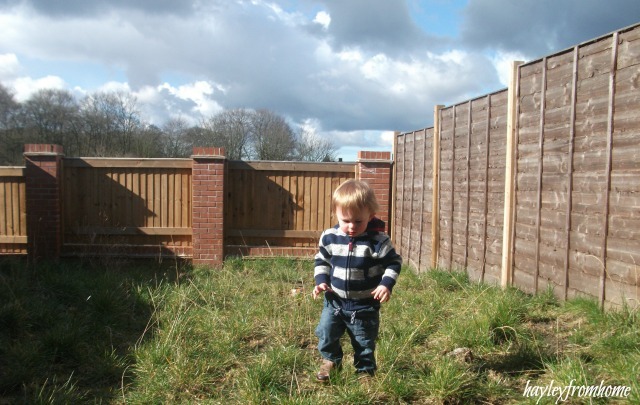 Even this rough terrain gave Lucas a great exploring ground, he loved to go out in it and run around. Now he has a lovely little garden to potter in with a swing and his own little toddler sized plot. This was one of those perfect spring days when it starts to warm up and we’d just popped over to the in laws for a cuppa and let Lucas have a wander in there lovely garden. He took his first steps in this garden in July 2012 and we were so nervous of him toppling into the borders. 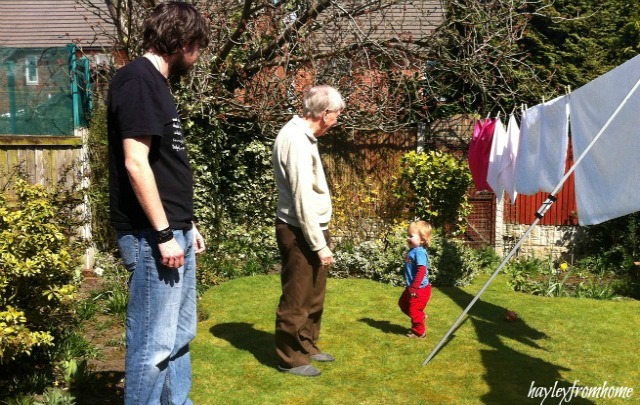 His Dad and Grandad spent ages outside playing with him, I just like seeing the three generations together! This was something I blogged about last spring and is a memory I hope to recreate every year with our ever expanding family! Another one in Grandma’s garden and this is the first year that Lucas and his cousin took a real interest in the blossom. They were outside for ages playing and I can’t wait to see them do this year after year when the blossom comes out. We had finally managed to turf our garden, get Lucas’ swing up and create our patio area. The next step was Lucas’ little garden so we set aside a plot and over the summer we planted so many different flowers and watched his sunflowers growing. On summer evenings he would take us over the his garden and point out to us all the different flowers and watch the bees. 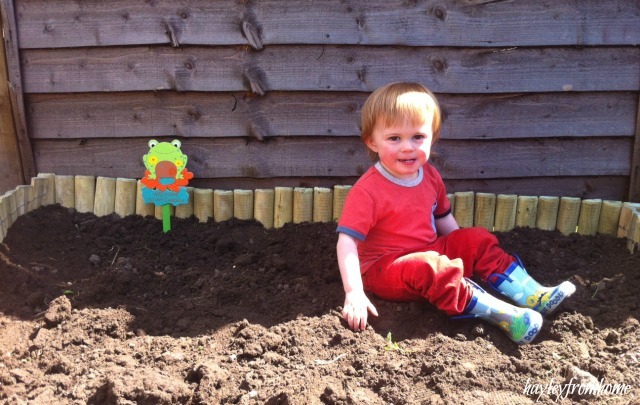 It was one of the best things we did with him outdoors; what child doesn’t love an opportunity to dig in the mud?! This was taken on a spontaneous visit to the park for a picnic; Lucas his cousin and Grandma. I love how much he enjoys being with family, he gets so excited to spend time with his cousin and has such an affection for him. He looks so young to me in this photo with his little shorts on, reminds me of long summer days out in the park and the garden. I love that he is looking right ahead at me with the camera. He loved the summer and the opportunity to get outdoors and I can’t wait to do it all over again with him and the two little ones. Right after Lucas’ birthday we went out to visit some woods I used to go to as a little girl. We took a pincic and spent hours wandering around; apart from his usual runaway tricks he was good as gold and we had such a fantastic day with him. 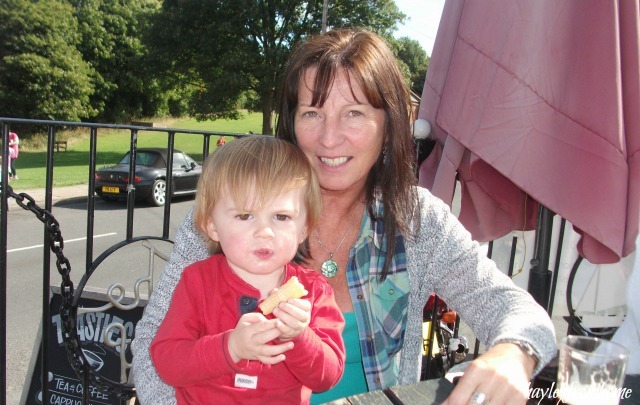 Nanny had wandered off with him and he came back clutching an ice cream. We stopped off for a drink and chatted away while he ate his treat, just another memory of him enjoying being around family. By this time of the year I was struggling to do our usual long walks in the week which gave us plenty of opportunity to get out with Daddy at the weekend. This was the first walk we took hunting for conkers and we made a start on our Autumn treasure box. As soon as he spotted this tree trunk he had to investigate and spent ages climbing up it and jumping off, we had to drag him away. 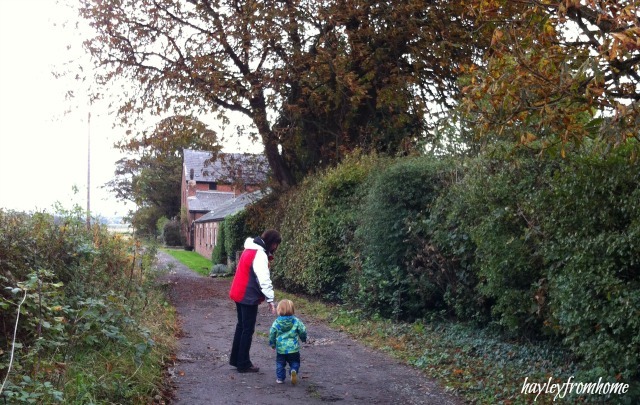 I remember vividly the things he was collecting and how he wouldn’t release his treasure; the conkers and leaves were gripped tightly in his hands on the whole walk. Another conker trip! This is something else we have started to go every year; by my mums house there is a chesnut tree that always seems to remain untouched. Me and my mum used to go there when I was a little girl and I remember a lady coming out of one of the houses near by to give us a carrier bag to collect the conkers with. I love visiting there with Lucas, seeing your own childhood memories become part of his is amazing! Not a great photo but this day turned into a perfect day. 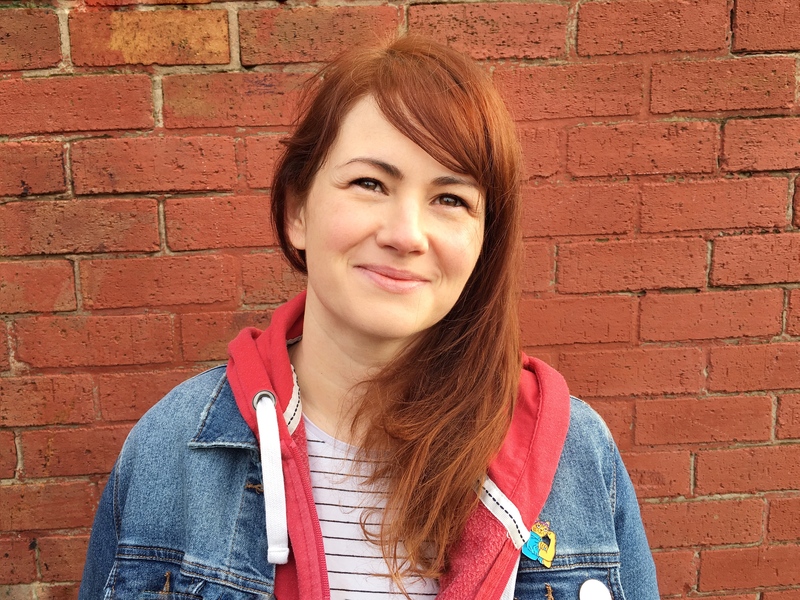 I had taken my husband to work so I could have to car to go for a blood test and decided to take advantage of having a bit of extra freedom that day. We nipped out for lunch together then went and found a park nearby Dad’s work before we picked him up. The weather had been terrible but it cleared up enough for us to have go to the playground; he ran round and round giggling and chatting to other children. After we went and had a little Costa date with cake to warm up. It was perfect to spend all that uninterrupted time with Lucas; the due date for the twins was coming up and this moments together seemed all the more precious. A full day with my happy little boy! Finally, one of the last memories of the year and absolutely my favourite. 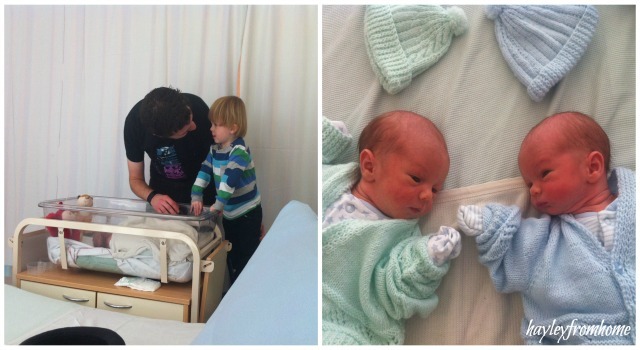 Lucas meeting his new brothers for the first time. His grinning face as he walked into the ward holding his Dad’s hand is something I will never forget. I heard the midwives cooing as he walked in wearing his trilby and his beaming smile when he spotted me. His sweet little face as he spotted the babies and asked to be lifted up to look in was amazing; he kept saying ‘babies’ and trying to say Arthur and Brandon when we told him their names. He peered in to look at them and smiled the whole time and I could see the fantastic big brother he will become. What a year we have to look forward to!